After reviewing all the diets I’ve tried throughout the years, I have found the one that really works. The answer? Don’t diet. That doesn’t mean that I am subscribing one to not eat right and do moderate exercise, but rather don’t put your body in depri vation. I had a doctor back in my late teens who put me on a three hundred calorie-a-day diet. The weight was coming off like crazy but after two months of eating basically nothing, I began to get light headed every day. Finally I ended up in the emergency room. It was at this point that I started to realize that deprivation wasn’t a form of dieting but actually a form of starvation. The more I would starve my body, the less I would lose. It seemed crazy to me but I began to understand the idea of fueling my fire of food. I really believe that the more I just substitute the items I am eating, the better I will feel and the rest will happen naturally. When I need support I know that there are still some decent diet groups out there, like Weight Watchers being the best and healthiest that I have come across. Just please don’t make my mistakes and think that the lower the number you feed your body means the lower the number of pounds. Depravation and Fad dieting does not work. Fad used to mean hot one day then gone the next. I want a lifestyle change that I can live with as second nature and make a part of my every day existence. I know that I have said these types of things before like a broken record but this time things feel different. There have been so many ups and downs but now after finishing the first cut of the movie and having time to reflect on the last three years of my life in production on this film, I think I am starting to get it. Forget dieting! 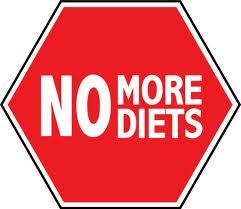 Now I know what you are thinking, we have heard the non dieting approach before, so what else is so new? Well I could make you wait for the release of the film to find out but I will give you some personal hints. After spending time with some of the best authors and personalities like Jillian Michaels, Dr. David Katz, Dr. Michael Roizen and Dr. Judith Beck and that doesn’t even cover almost every top ten university that we visited. I think I have a good perspective to back up what I am going to tell you. I Personally don’t give a damn if you want to eat peanut butter sandwich sandwiches all day long, though I think you will probably get sick and tired of them very quickly. I also don’t care if you want to eat foods laden with chemicals or just fruit and vegetables. It really doesn’t matter on its own. My new school of thought is really mixing two approaches. The first is trying to make small changes that are geared towards more healthy eating but with only foods that I like. If they are fruits and vegetables that I hate, why bother forcing myself to eat something that I know I can not and will not stick with. Second thing is stop depending on becoming so damn obsessed with calories, carbs and the chemical breakup. 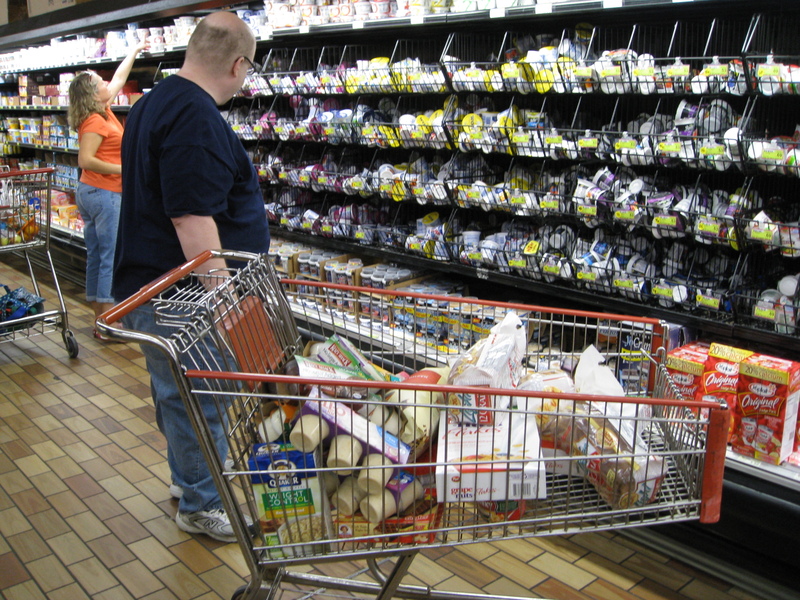 If you really want live by reading every food label you come by for minutes at a time you are going to have very hard choices and grow to hate the grocery store. I think it is a certain amount of common sense when you decide between having eggs for breakfast or a box of yummy chocolate pancakes with pecans and syrup. One is not going to turn out very well for you and chances are you already know which one. If you do decide to go the with the route of obsession, its going to be very hard to eat out with friends and your going to basically live like a hermit.. I personally think it is not going to work. Never did for me or the majority of the rest of dieters in this country. Another major change is you have got to exercise. Now that does not mean spending huge amounts of time and money at your local gym Chance are that if you didn’t go last year, you probably wont go this year. Now don’t give up hope yet. There are some pretty cool solutions that have come out that are relatively inexpensive and totally enjoyable that you can do right out of you home or even possibly your office if are willing to share. So my New Years resolution is going to be practicing what I preach. After all, I have had three years of researching and filming for this film. Please keep joining me everyday up until the release and I will be honest with you and share what really worked and what did not. Please stay tuned tomorrow for the second part to this blog where I wrap things up with the truth about most diet book authors and the way to find possible peace and weight loss for this year and many more to come. The odds really don’t have to be against you. I feel that I am taking off the weight, my pants are not as tight and I can walk a bit more. I am counting every single calorie I put in my mouth. I even bought a bag of carrots for the first time in ages. However, today I woke up extremely tired. For the last couple of days, I have experienced a loss of energy. My walks have been tortures. Just getting up is tiring. I am falling asleep while reading. I have trouble focusing and remembering things. I thought it was a side effect from my meds. I have just realized it is coming from my new diet. The most I have eaten in the last week is 1400 calories but lately I ate less than 1000 calories. I know I am under-eating but I am so concerned about what I eat that I am becoming scared of food. I have no appetite. I thought it was a good thing and it would help me lose weight but I am feeling very weak. I am just really not that hungry. I have this new challenge of eating less and less. When I look at my food log and see the calorie counts go down, it excites me. All I care about is keeping the numbers low. There is a lot of research out there on healthy eating but not much on what to eat when you’re not hungry. I don’t want to force-feed myself. What’s the worse that can happen if I continue eating like this? Today, I wrote down exactly what I ate and kept track of calorie counts and quantity. 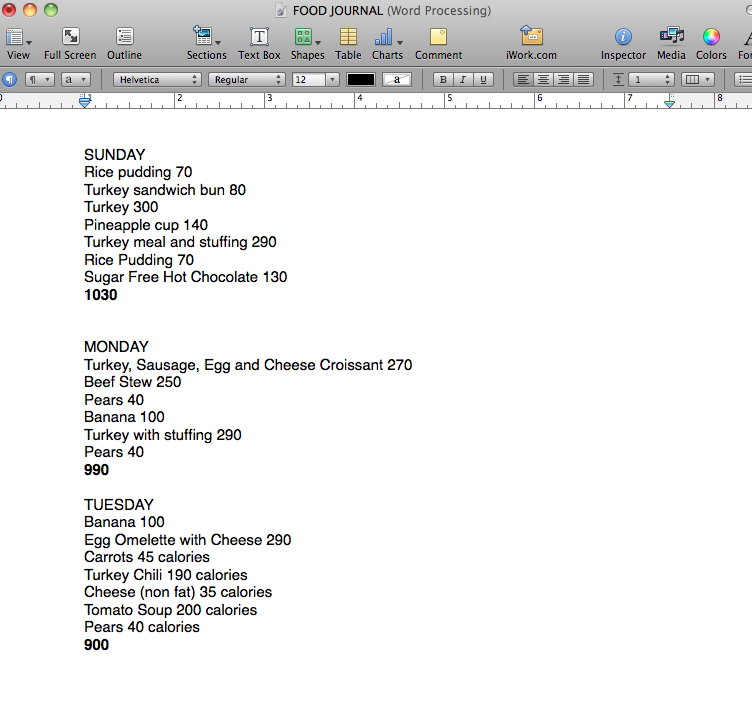 For 3 days in a row I have been keeping a log of my food intake. I began to be followed by a doctor almost a month ago so it sounds weird to only have 3 days on record. What happened is that, I didn’t care about what I was eating as long as I estimated that it wasn’t bad for me. And whatever I ate that was unhealthy or things I binged on, I literally erased them from my memory and didn’t keep track of it. I am finally going along with the concept of “discipline”. I hate that word, can’t stand it. Probably reminds me of some bad childhood memories or jobs I didn’t keep or didn’t like. I hate the sound of it so much that we refer it as “getting your sh…t together” on the Finding Thin team. Before the “getting your sh…it together” era, I would leave the office from time to time to go eat something without my team knowing about it. I would buy ice cream at the same time I’d go buy my medication. I would sneak in biscuits and cookies… I’d order pizza and hide the boxes not to get caught. I actually got busted a couple of times. I went shopping two days ago and didn’t buy the snack food or ice cream I would usually get. Since I was at my favorite store and there is so much to find there, I did get boxes of my favorite 100-calorie chocolate covered peanut butter snack bars… but before I even touched them, I gave them away so I wouldn’t get tempted. Next time I go shopping, I will go with a list of healthy things to buy and a plan on how not to get attracted to the usual microwavable and frozen meals… I also plan on learning how to cook and enjoy it. I will not go shopping on my own anymore until I am strong enough not to buy things I shouldn’t eat. When Is a Mistake a Bad Day? Over the last month, I have had days where I was able to exercise and days where I stayed in bed catching up on needed rest. On my bad days, I felt that I had made a diet mistake. Then there were days like yesterday where I got up around 11:30PM and had a bowl of Special K, a banana and a small chicken breast on a pita. My typical day of eating ranges from 1500 calories a day to about 2300 calories like yesterday. Would that be considered a bad day or the end of my success in dieting? I would rather remember the big picture and the progress I’ve made. Reviewing the last month or so, I see how I’ve reduced my calorie intake by over half of what I used to eat. I have also introduced healthier food choices and the exercise that I lacked so much before. I find that when I try to severely limit my calories and race for the lower numbers on the scale, the pounds seem to catch back up quicker than I could ever try to take them off. So the question that I put out to all of you is what really should constitute as a bad day of eating and shouldn’t it be about better health and lifestyle?